There are no comments for The Wrangler. Click here to post the first comment. 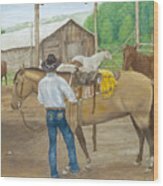 I started painting in the late 80's when my 2 kids were little. i was just dabbling and having fun meeting with my paint group friends every week. Then I started selling a few here and there, and I was being approached to do commission pieces. 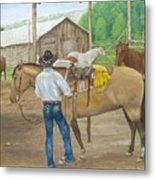 My husband and kids moved to Montana in the early 90's, so I could be closer to the animals and landscapes they lived in. I enjoy creating something that has never existed before, and I tend to want to portray in my work a natural peacefulness of life. 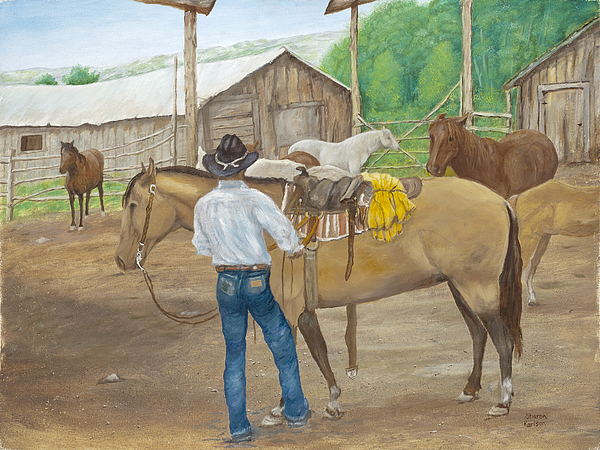 My work is mostly rural based, and is most certainly Montana based lifestyle. I sincerely hope you enjoy my work! Thank You!